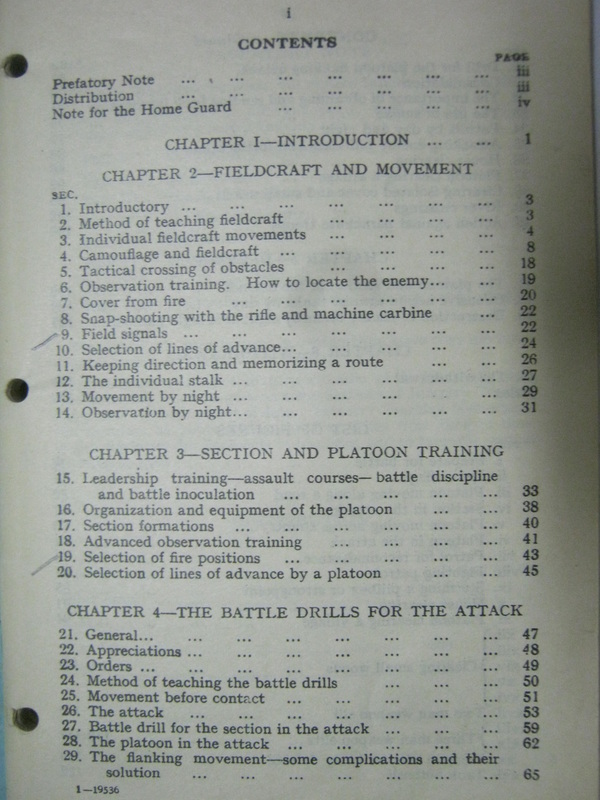 This manual will be presented in full, page by page, all 154 pages with the ammendments included, front cover to back cover. 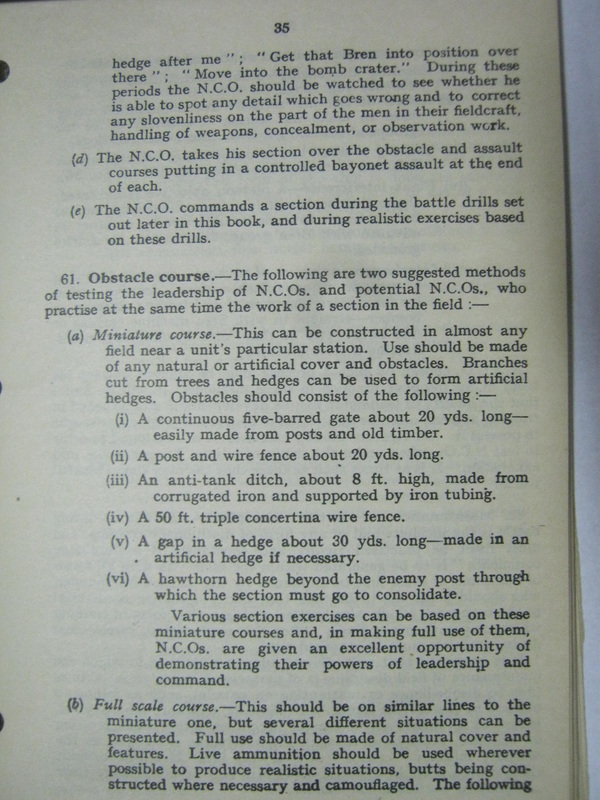 Nothing is left out. 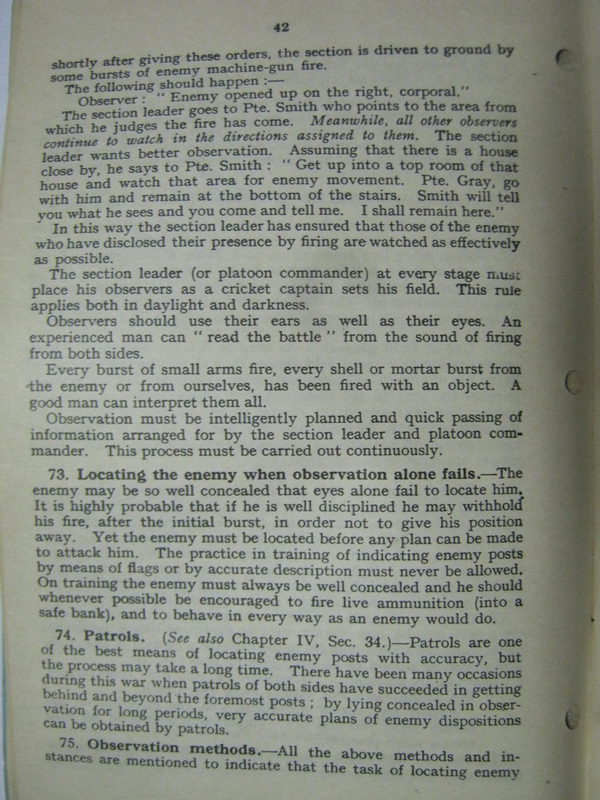 Because it is so large, it will be presented over three pages, this page "Part 1", being the first. 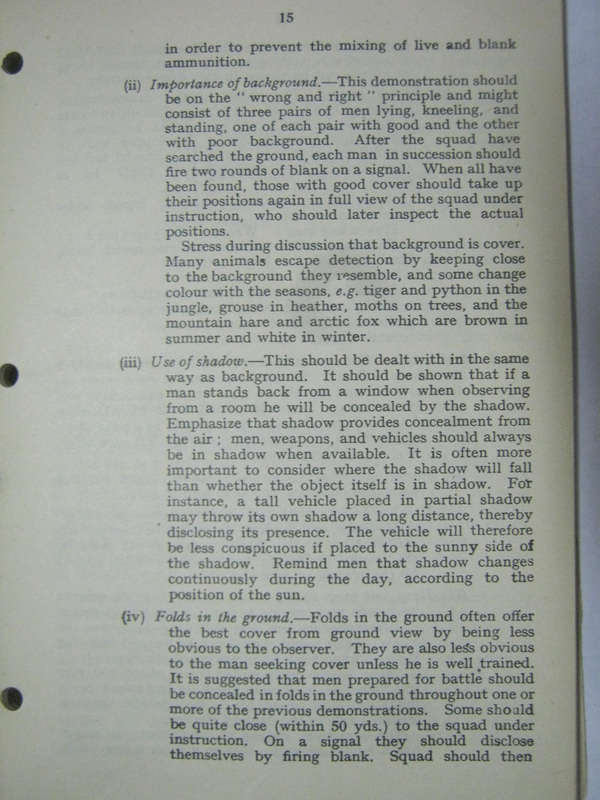 I tried putting a link to the skydrive where all the photographs of of the pages are also located, but you cannot enlarge them enough through the skydrive to read the pages. 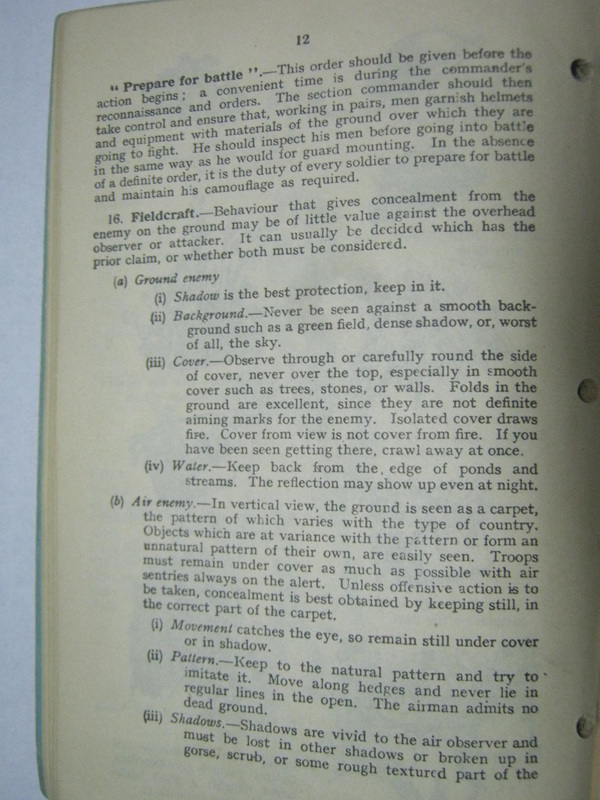 So they will be entered over over the next three pages, photo...by photo...by photo. 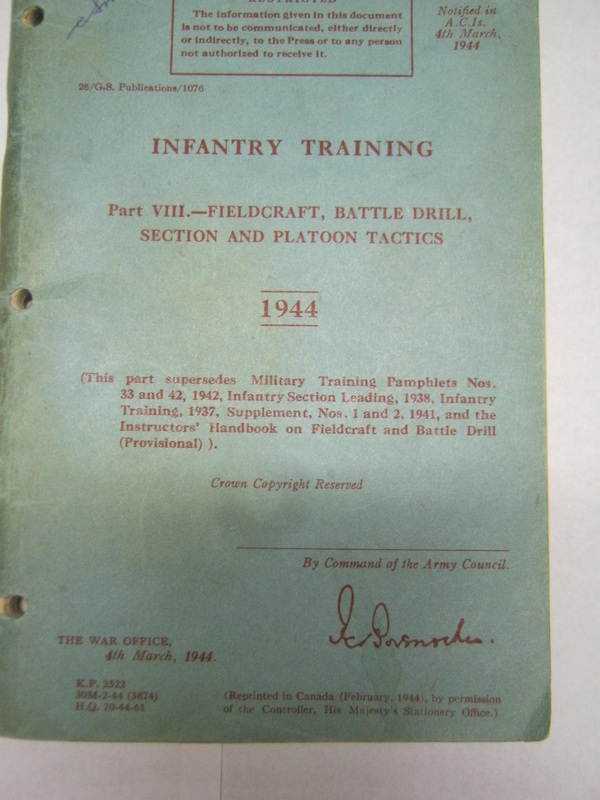 This manual will be of use not only to members of the 6th AARR, but also to anyone wishing to portray a British infantryman of WW2, as well as other hobbyists, from wargamers to diorama makers to armchair generals. 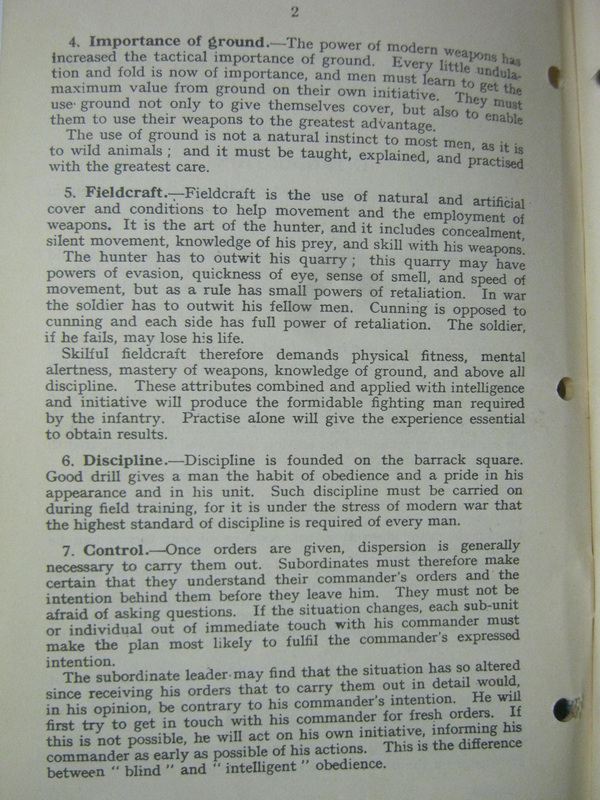 All soldiers would know the basics of being infantry, whether they were on a tank or baking bread with the Army Catering Corps. 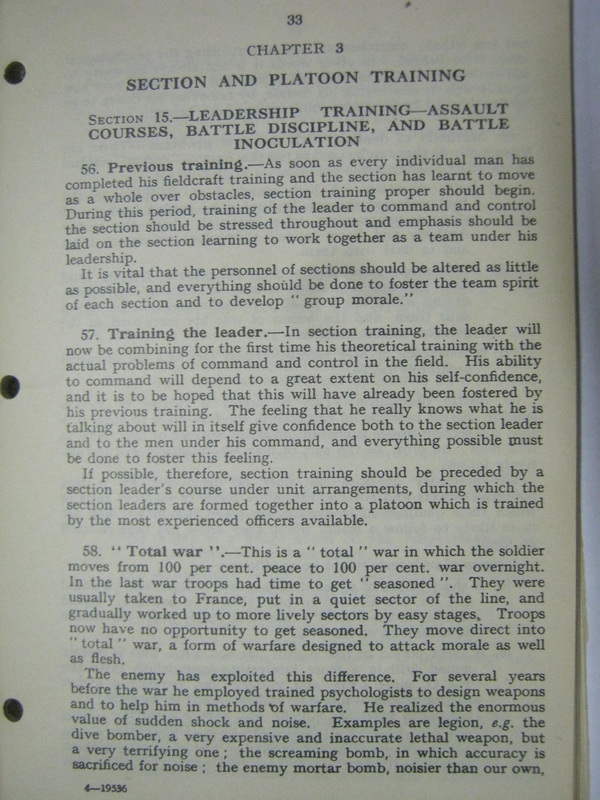 After initial training, then the specialist training would take place. 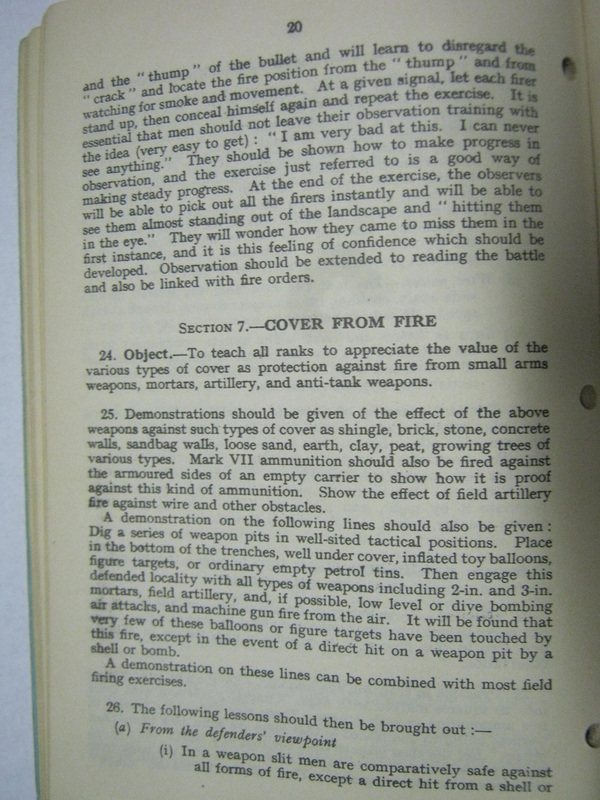 Within the 6th AARR, the assault would be using this manual as their bible. 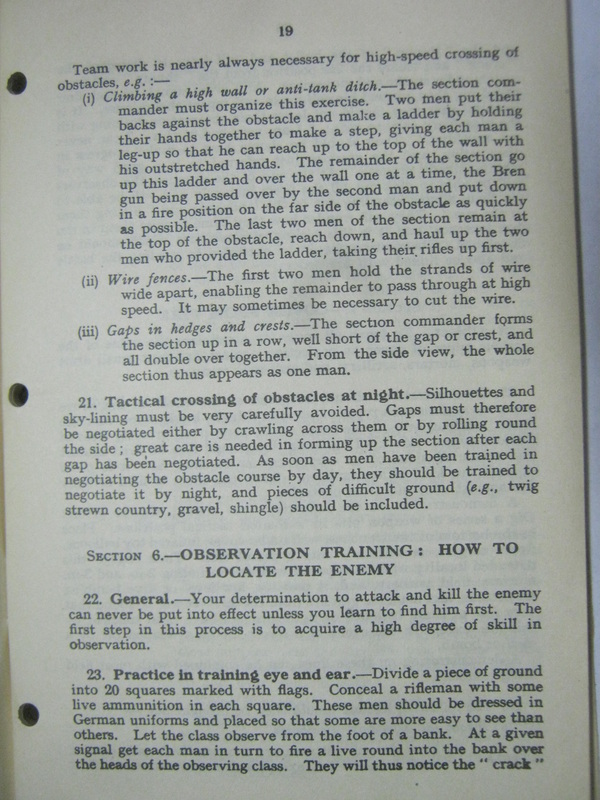 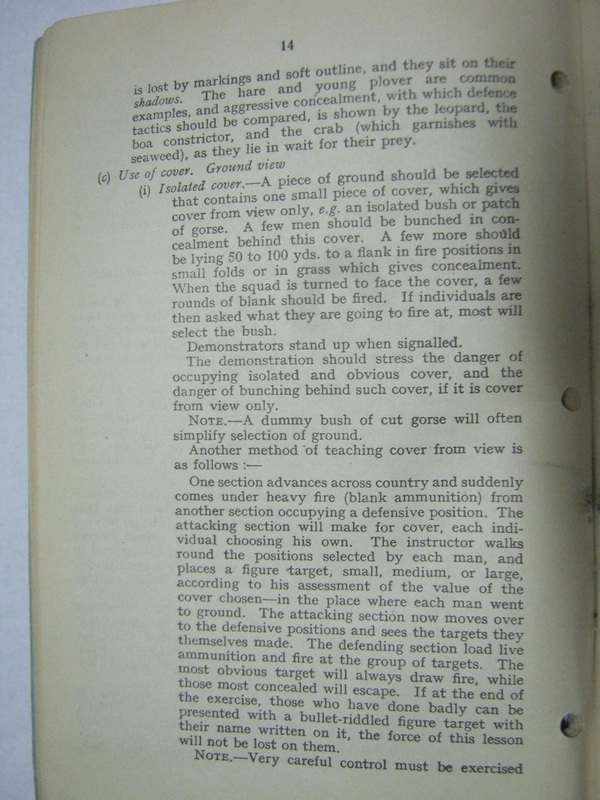 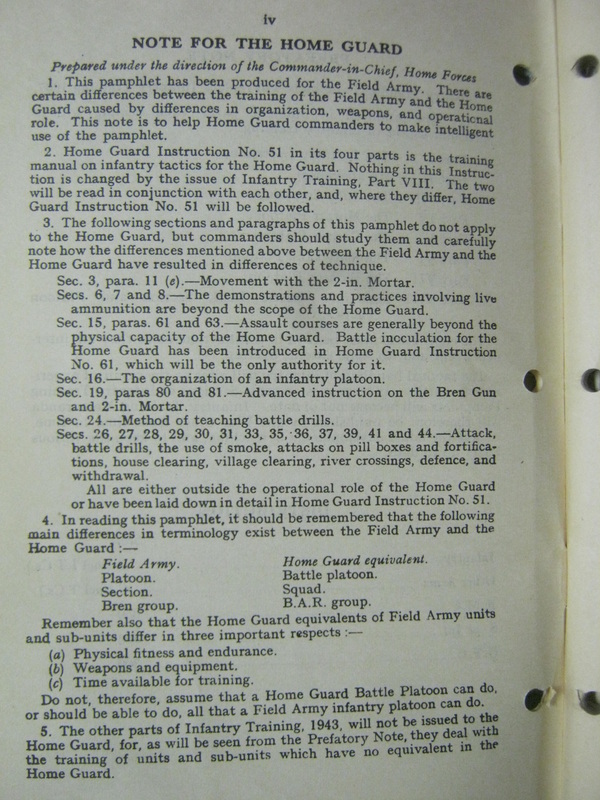 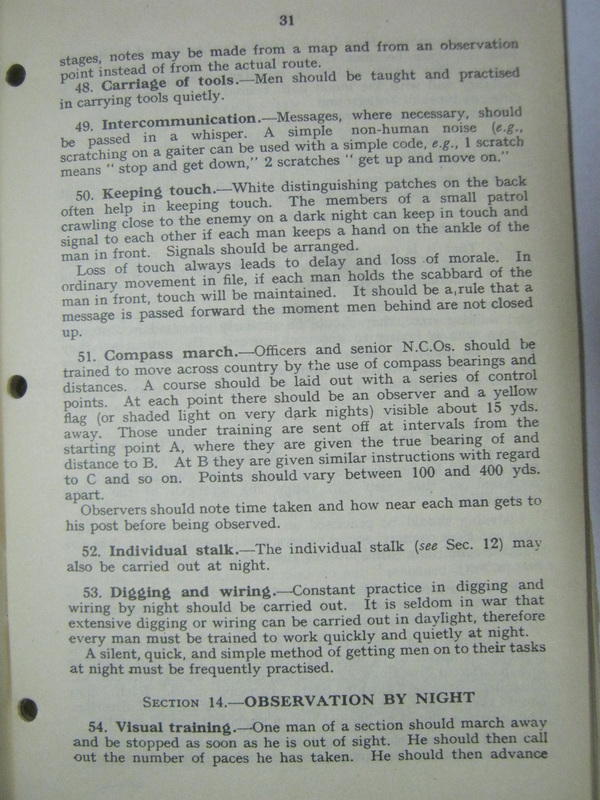 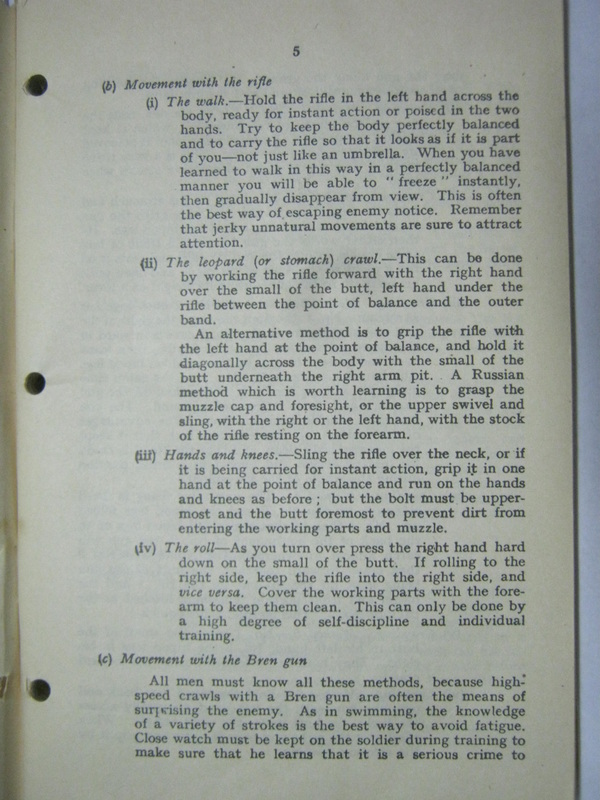 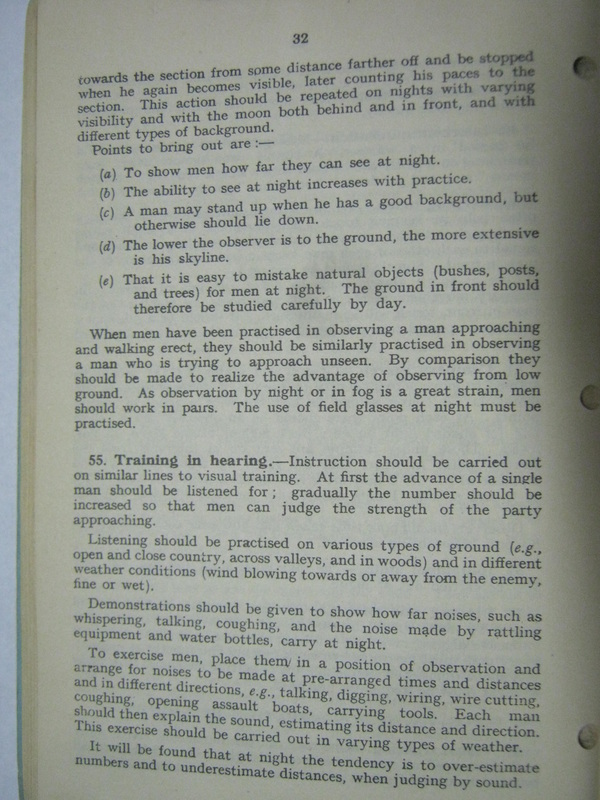 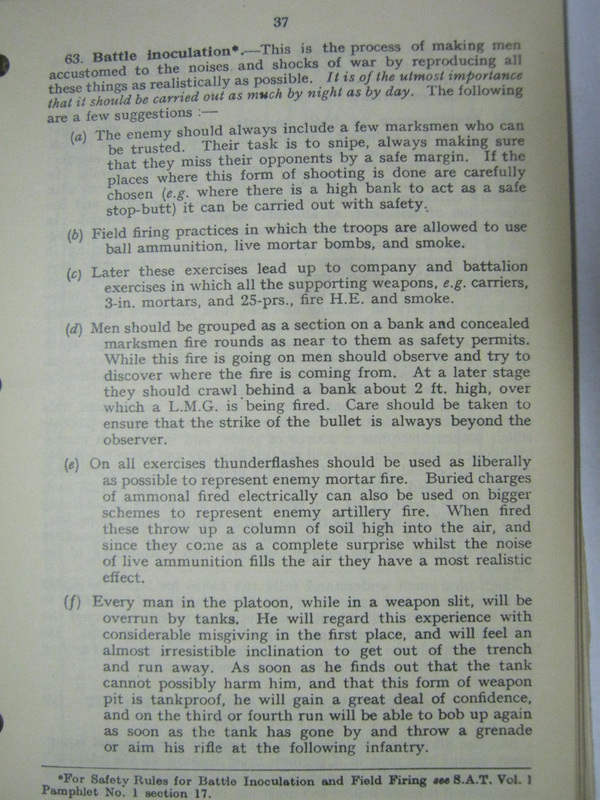 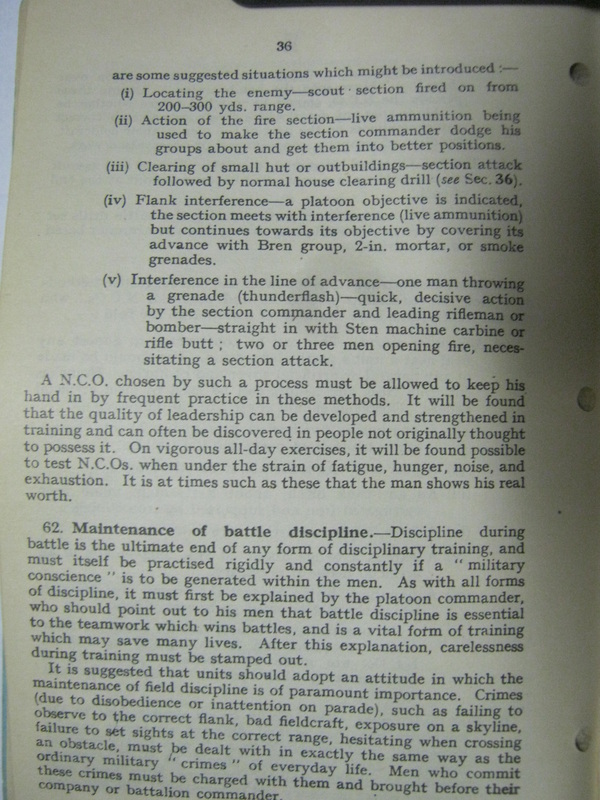 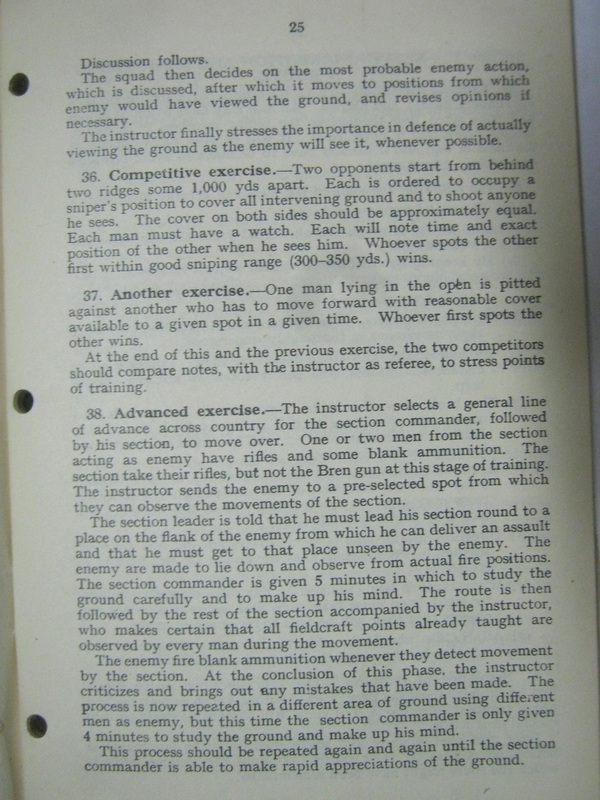 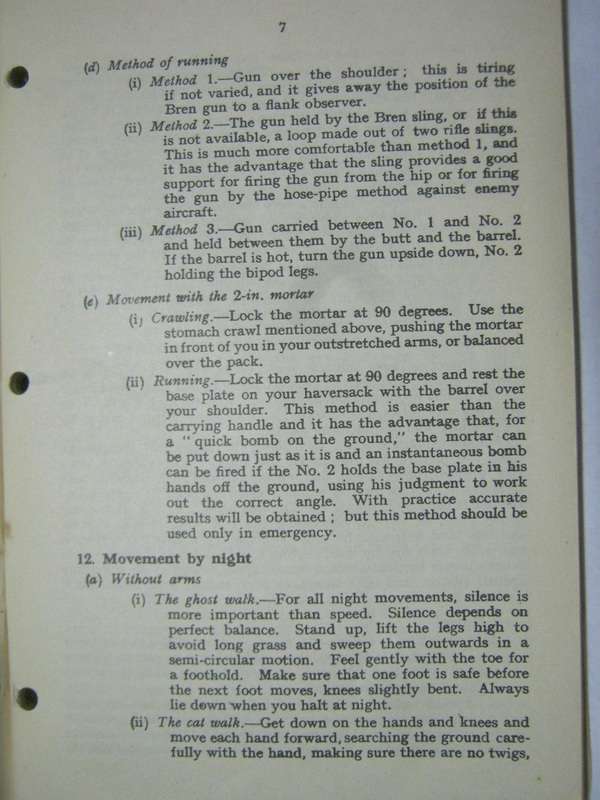 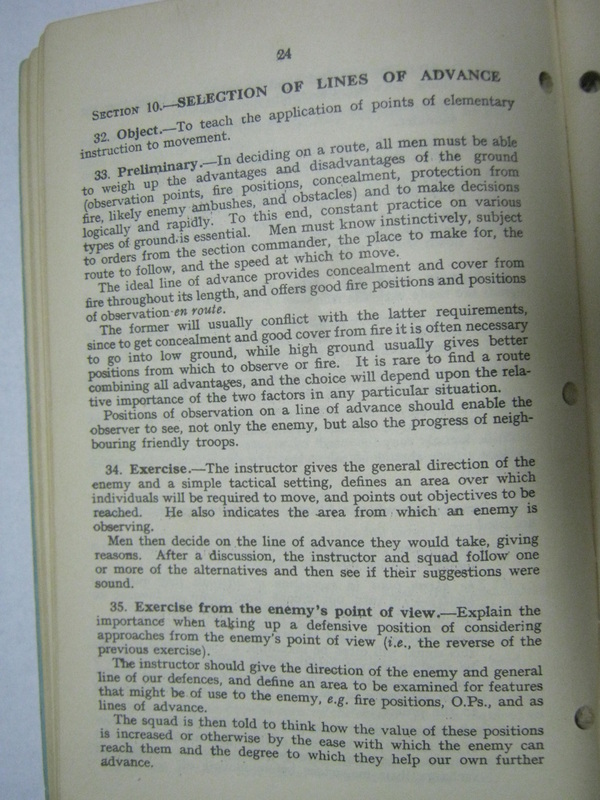 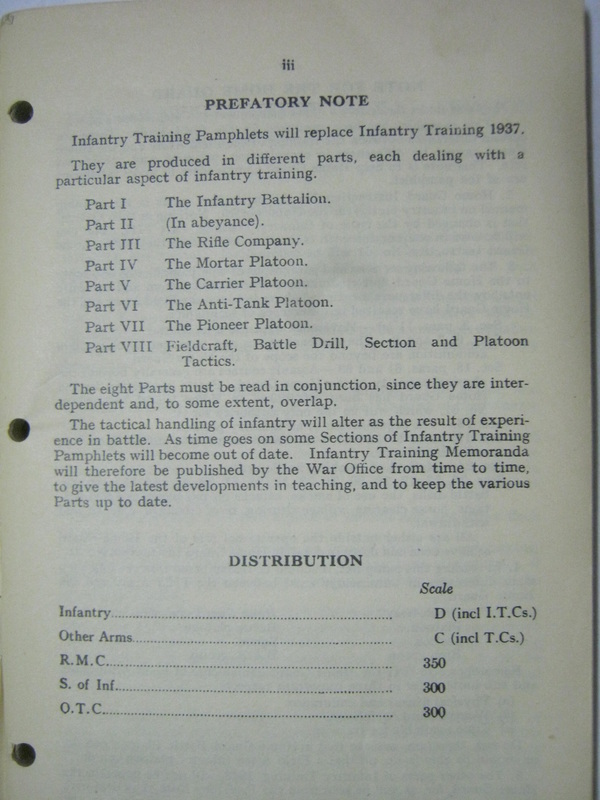 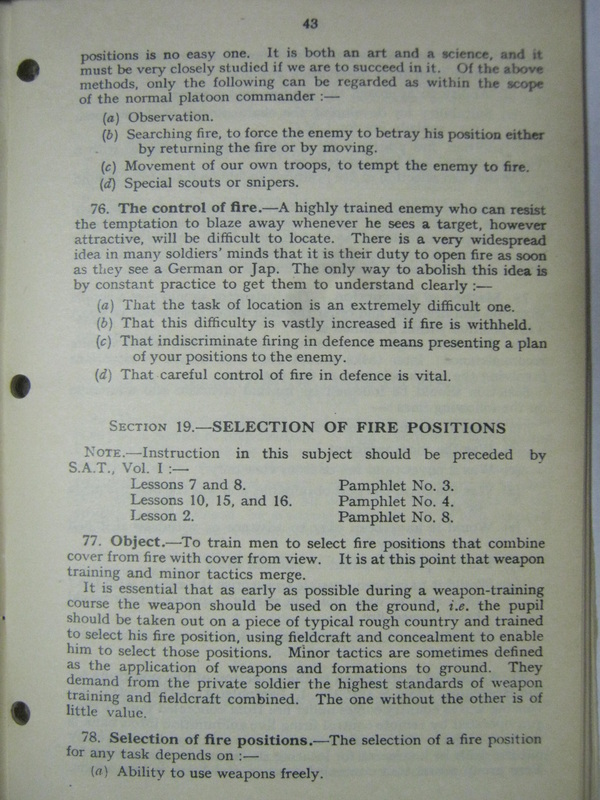 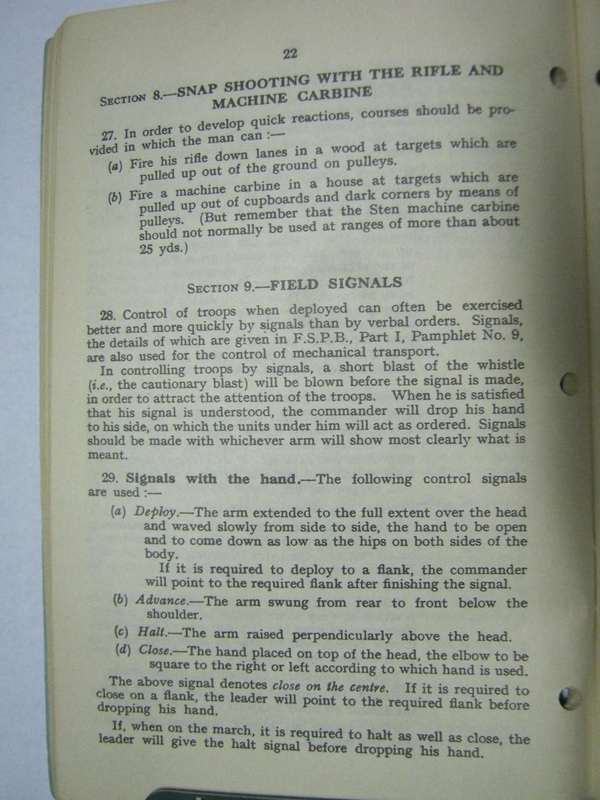 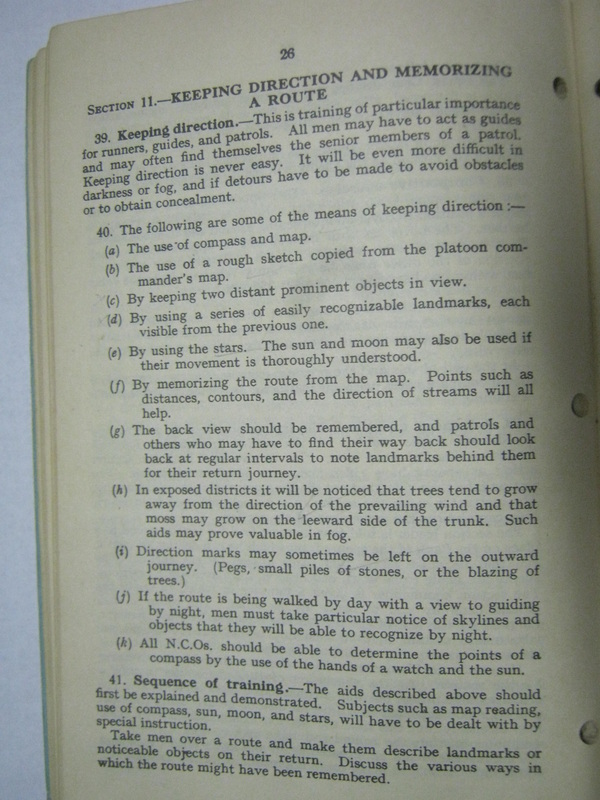 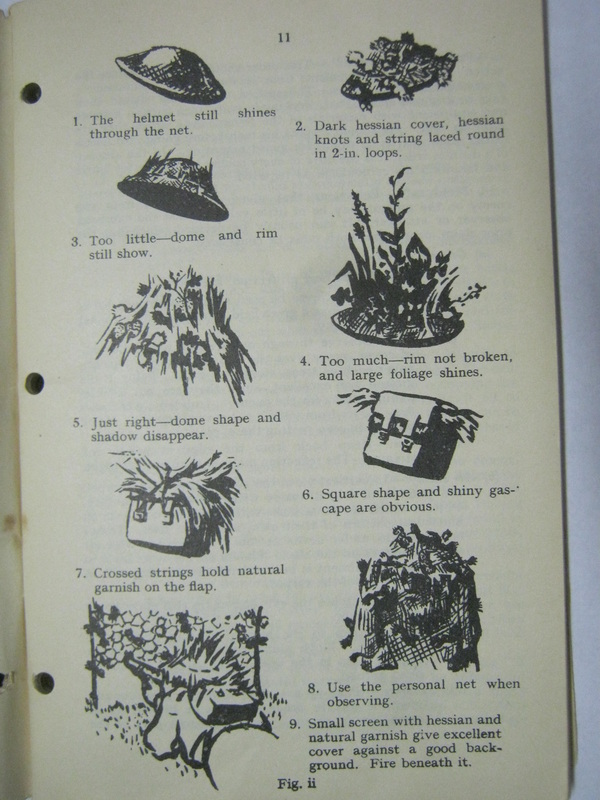 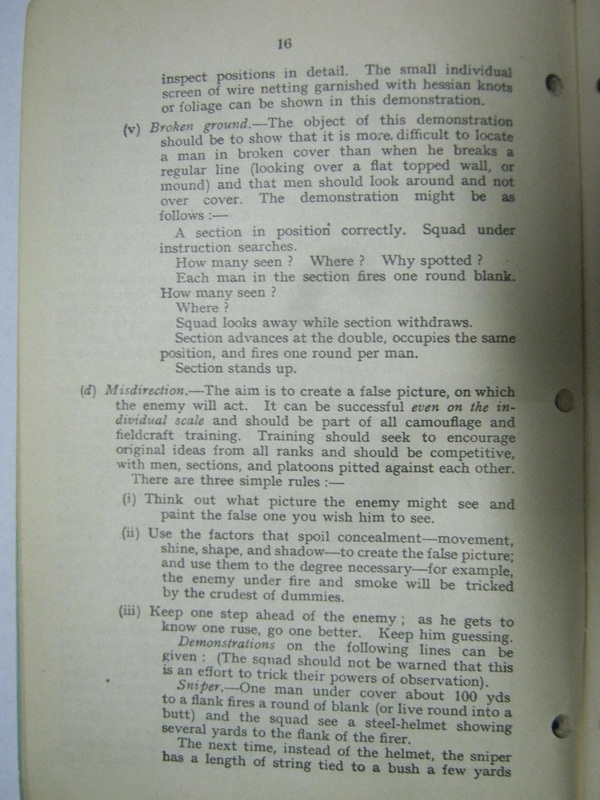 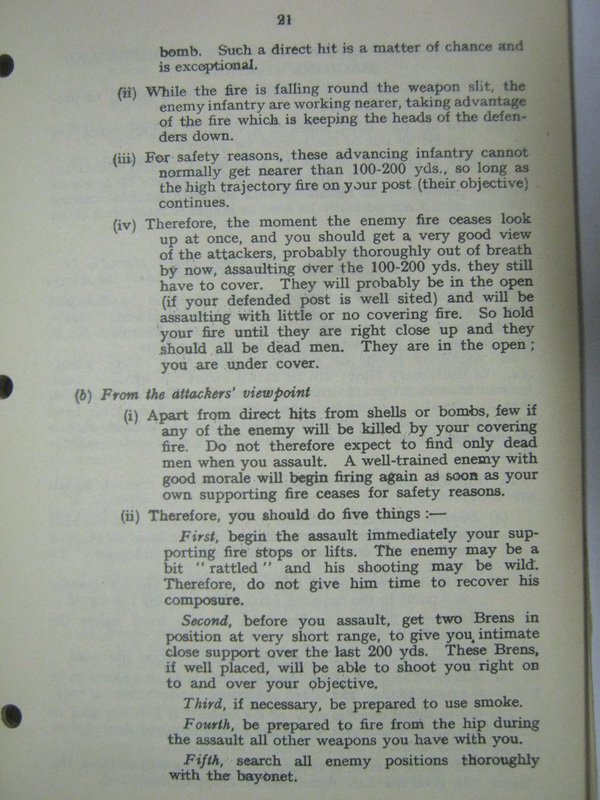 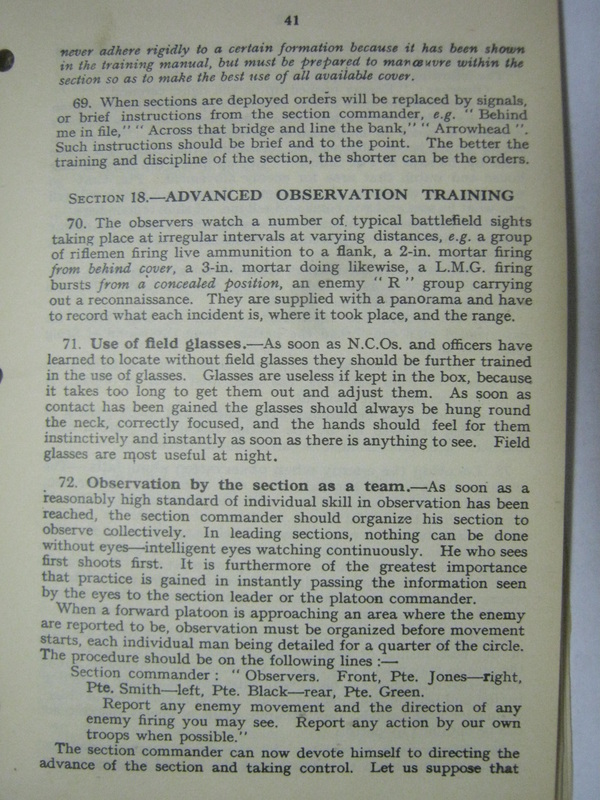 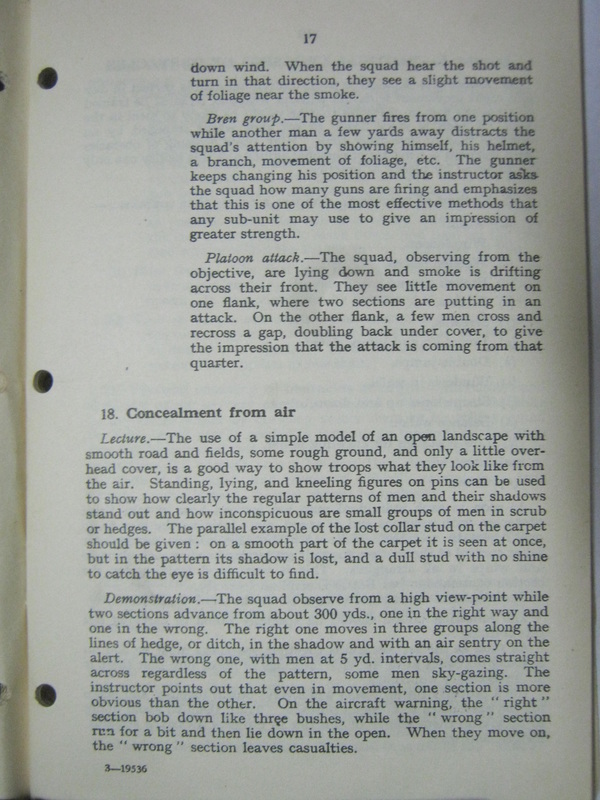 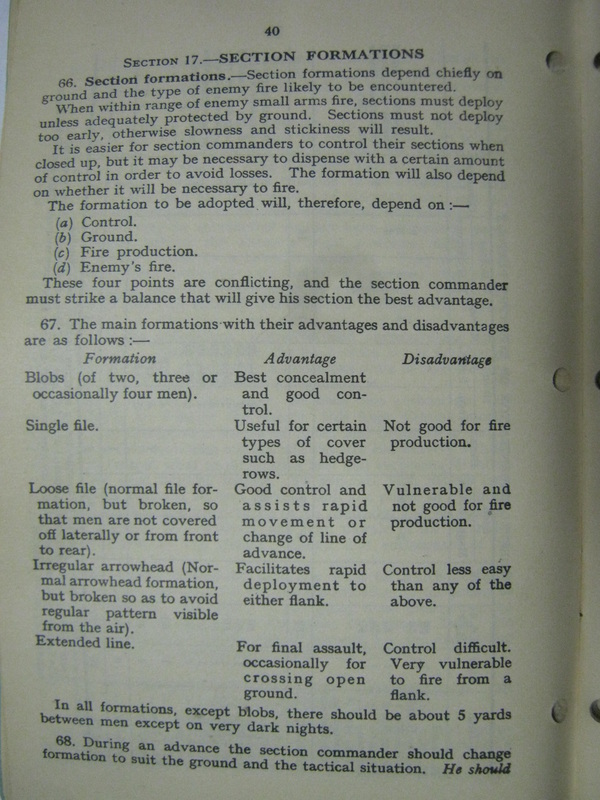 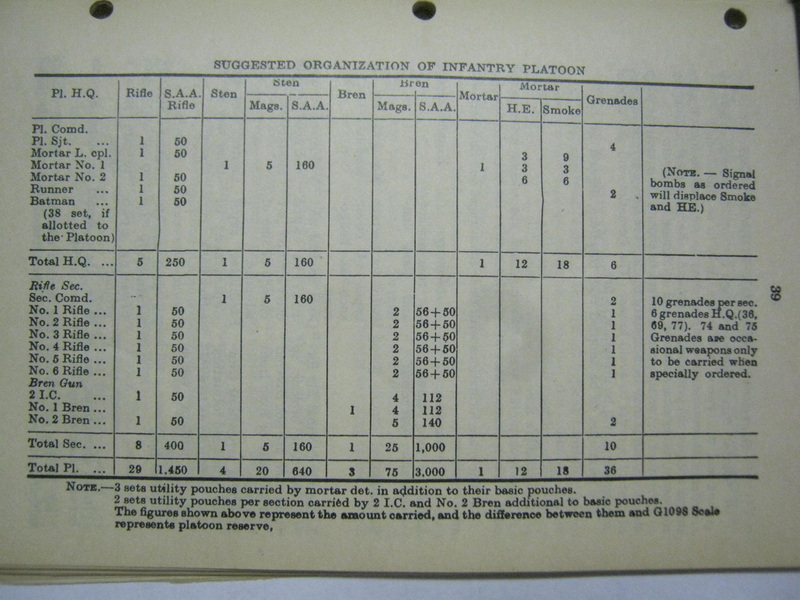 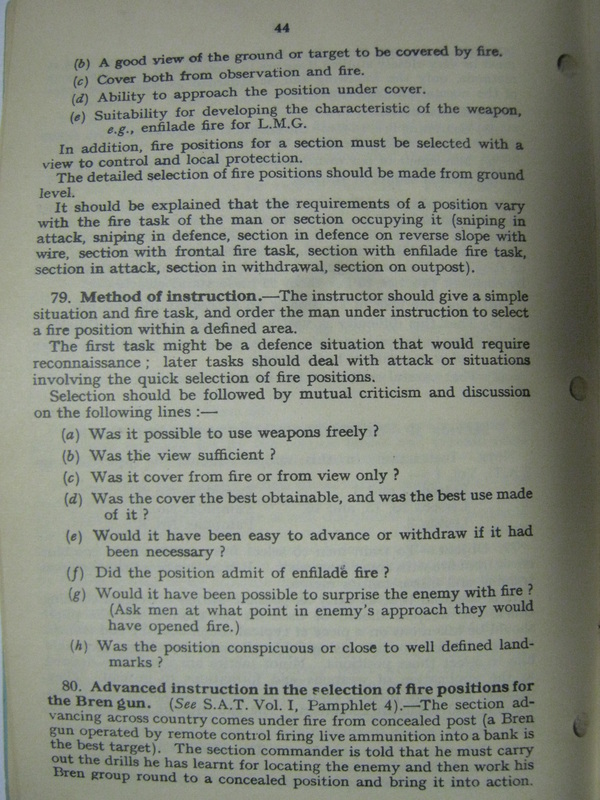 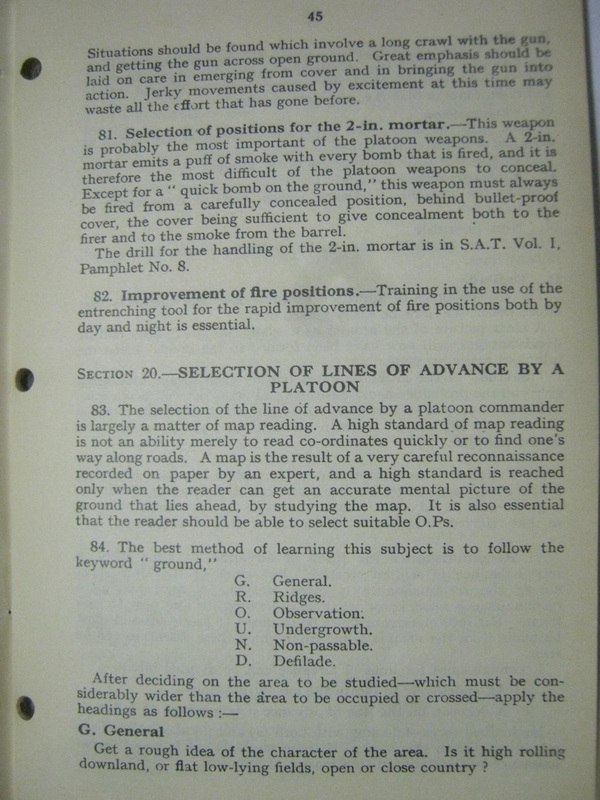 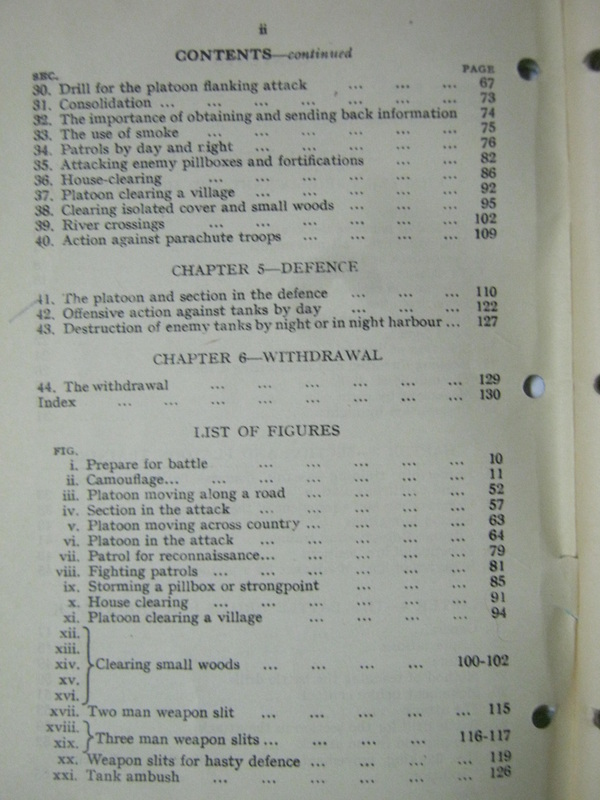 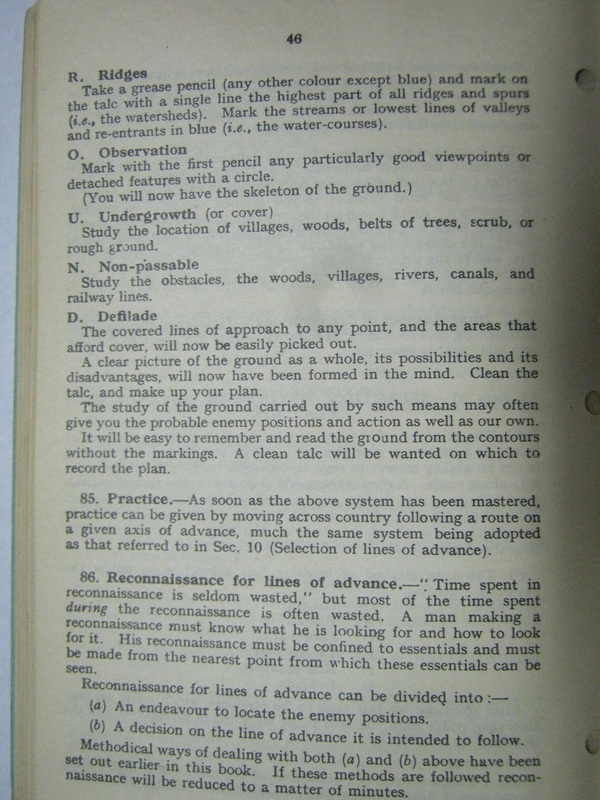 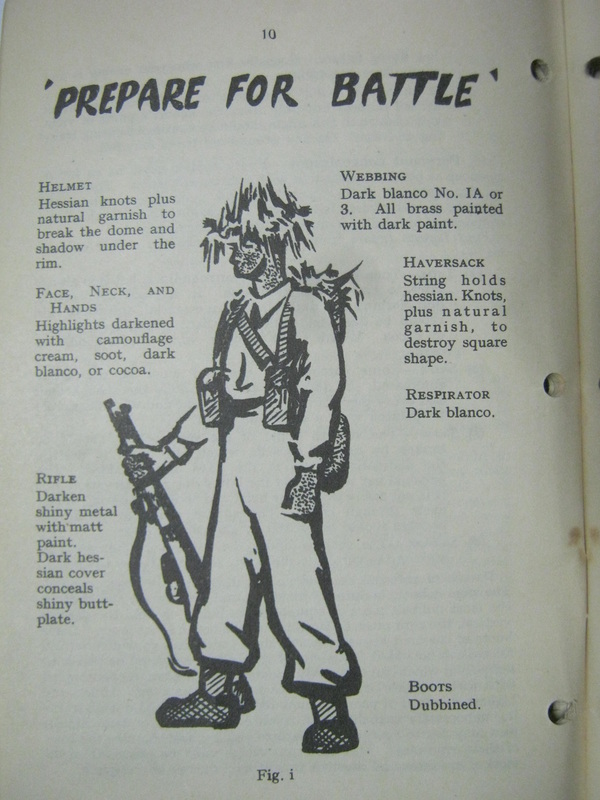 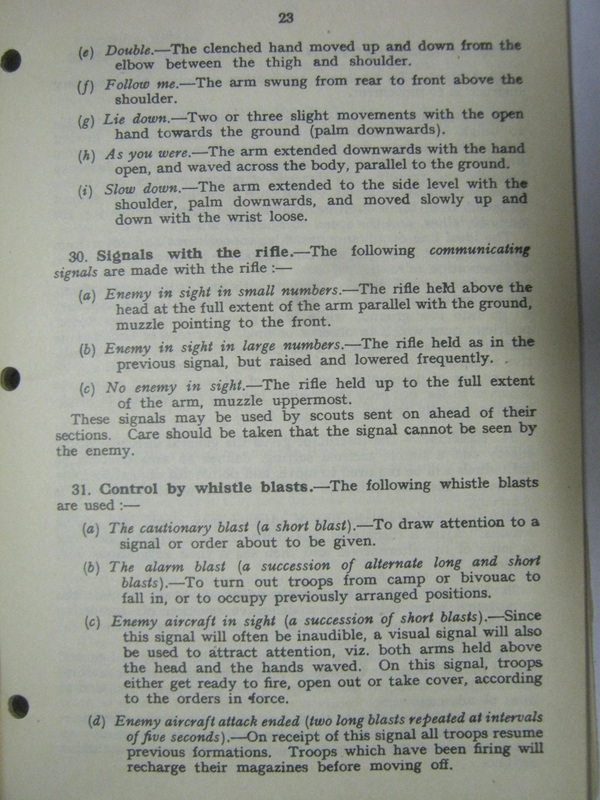 The tankers, mortarmen and other support troops would also have to know what is in this manual, to coordinate their tactics and actions with each other during battle. 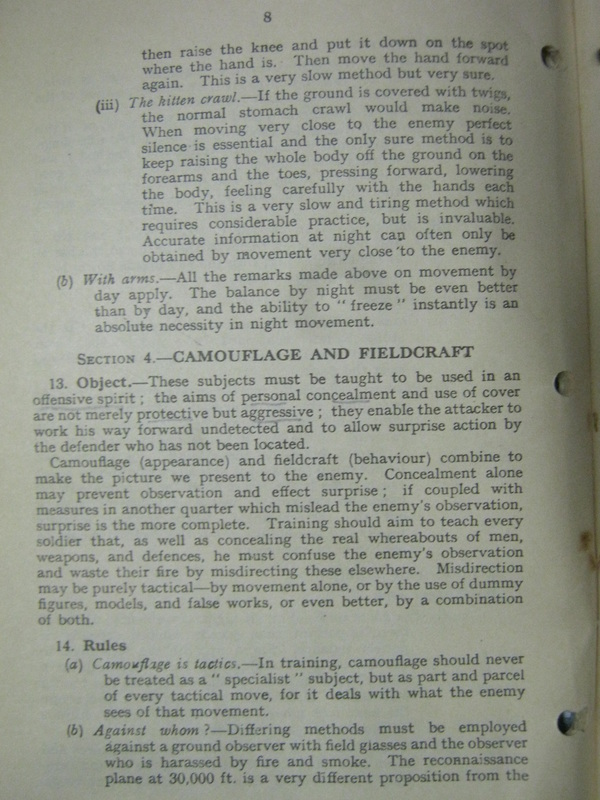 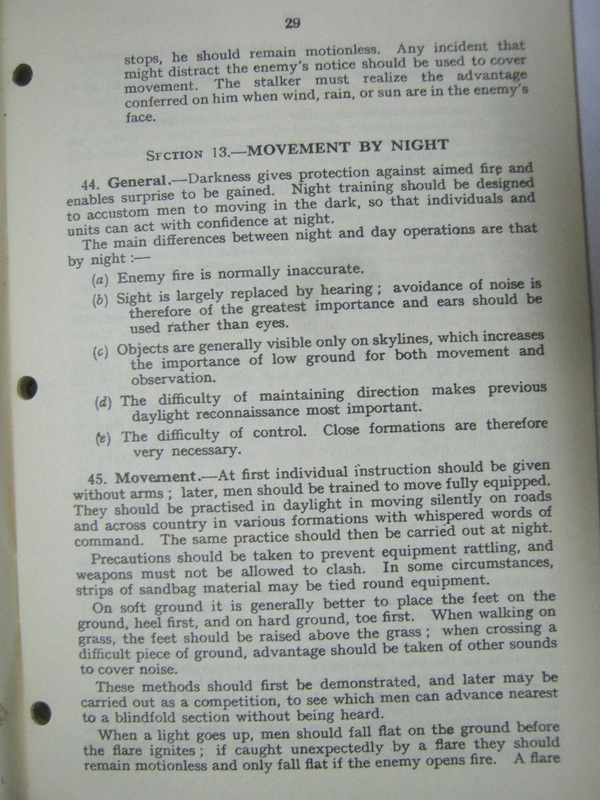 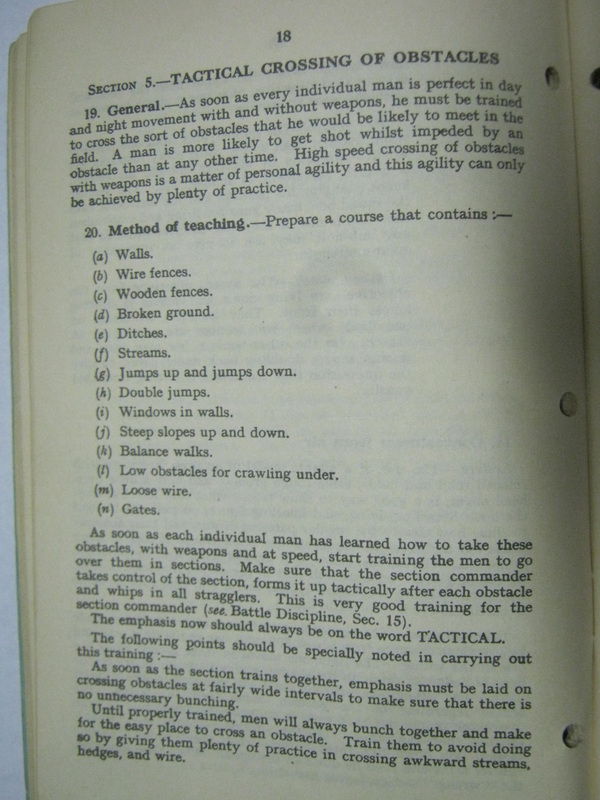 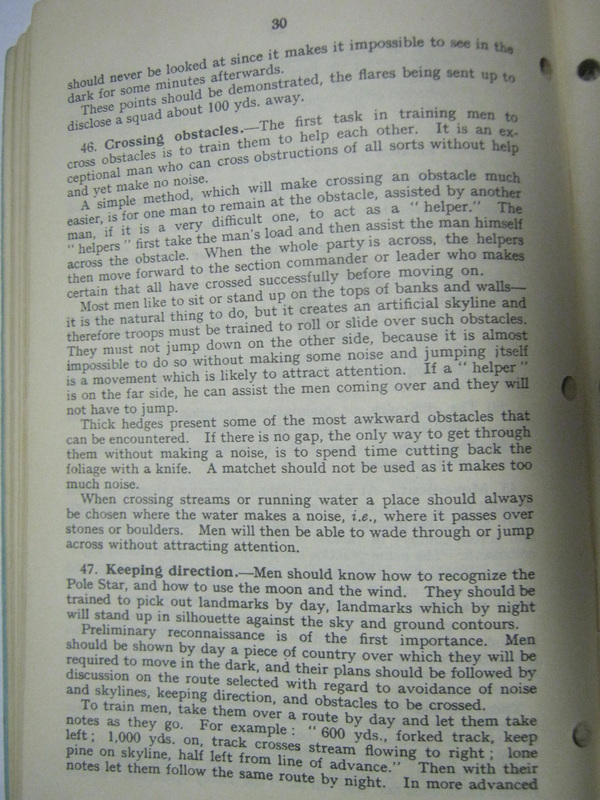 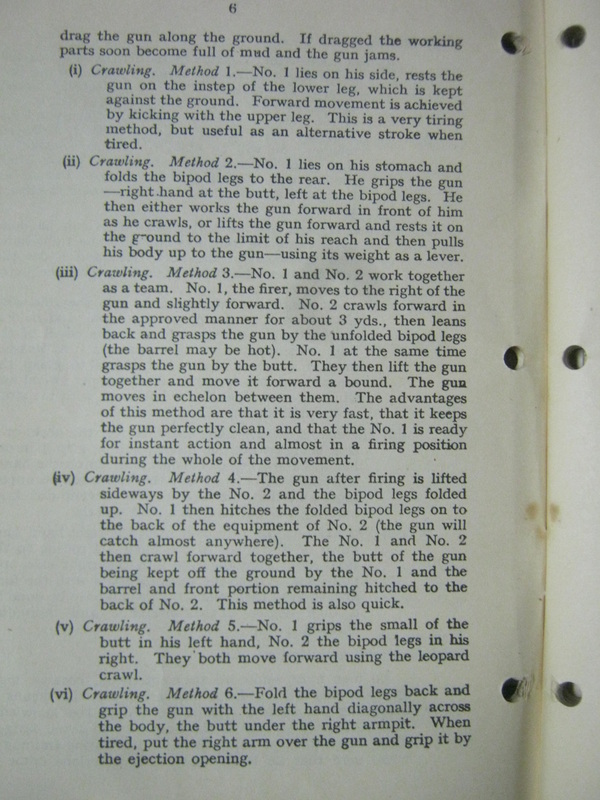 As the introduction on page 1 says, the training method should not be followed slavishly, nor is the manual intended to be a complete syllabus. 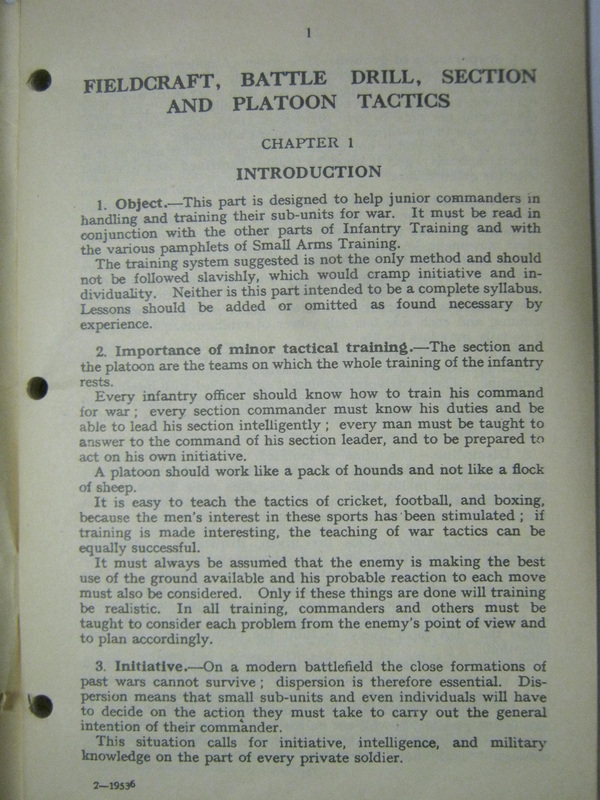 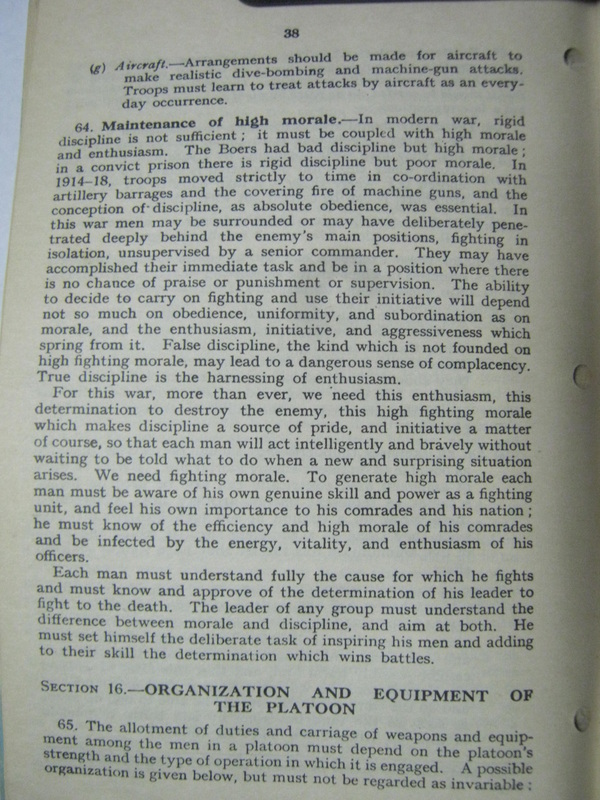 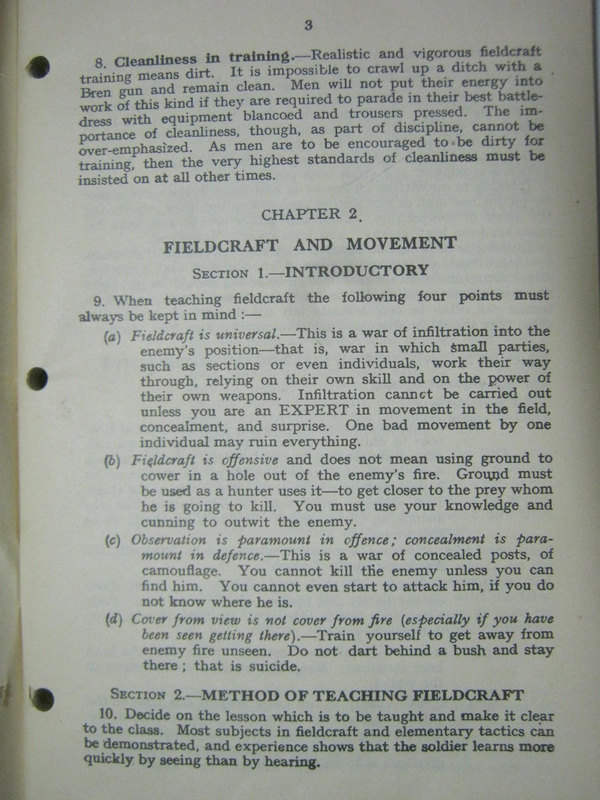 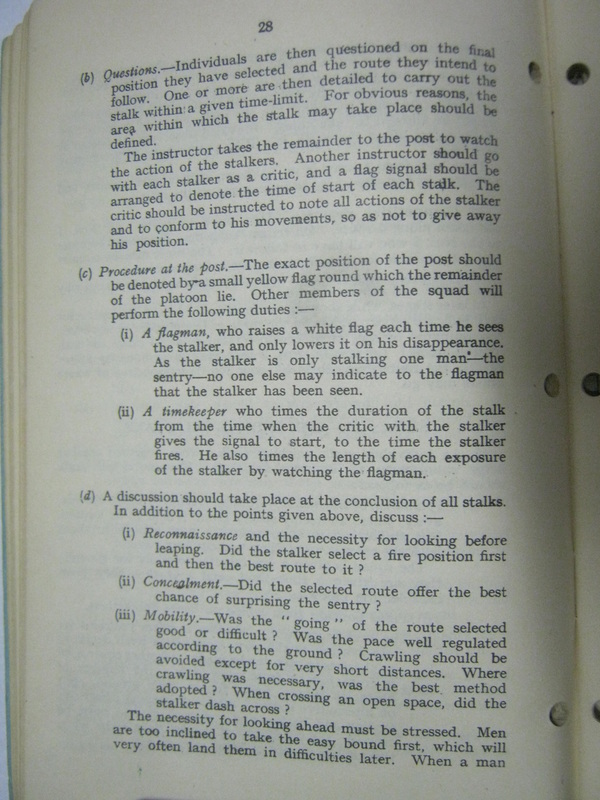 The introduction also says, "A platoon should work like a pack of hounds and not like a flock of sheep." 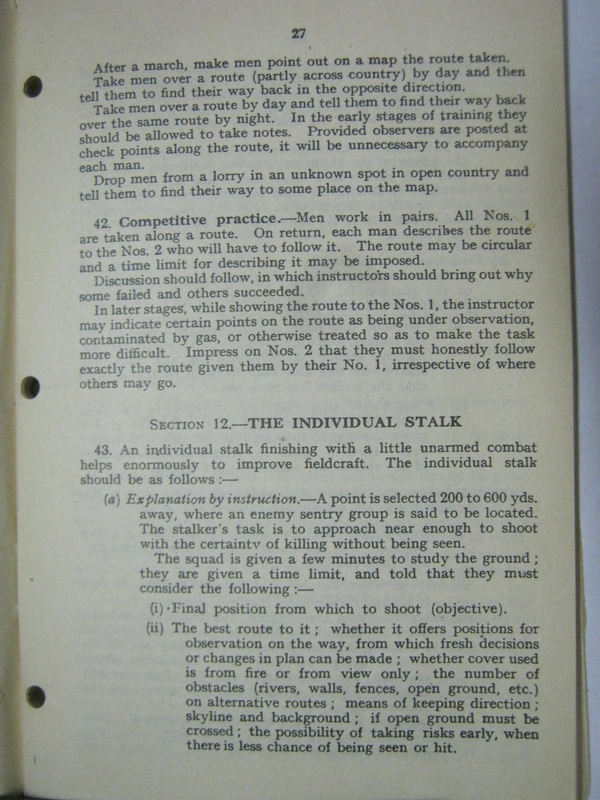 Without all soldiers and leaders being trained in standard fieldcraft, battle drill, section and platoon tactics, the platoon cannot act as a team, because everyone does not know the "plays". 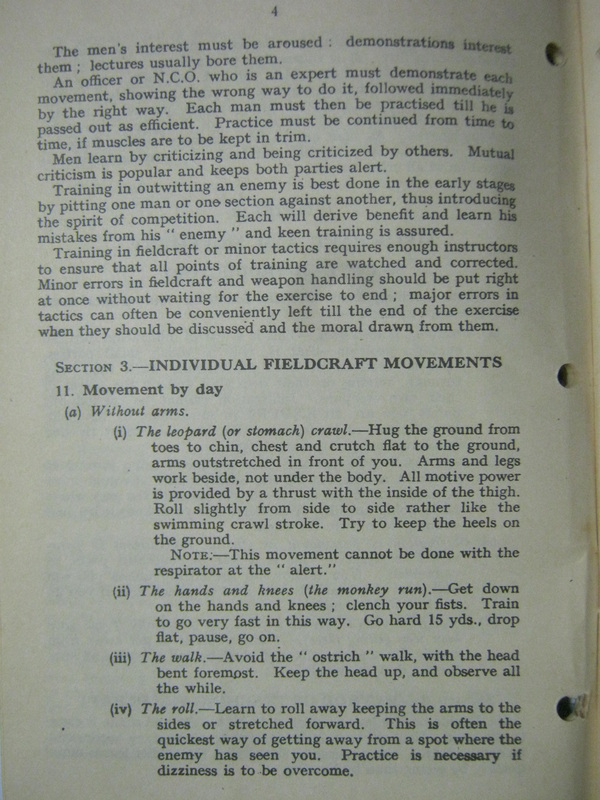 Once everyone knows the battle drills, they will know how to react to given situations, and they know everyone else will act in a similar fashion, which builds teamwork, and confidence in the individual as well as the group. 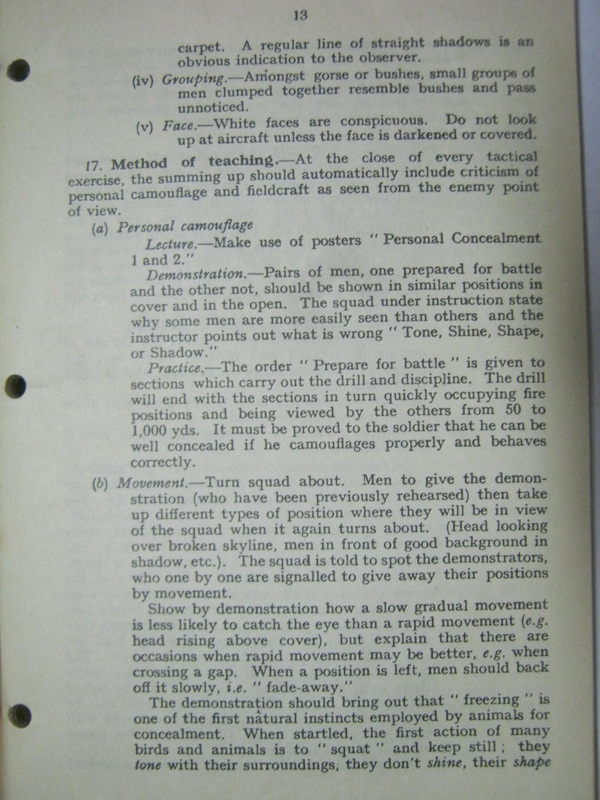 Know your battledrills. 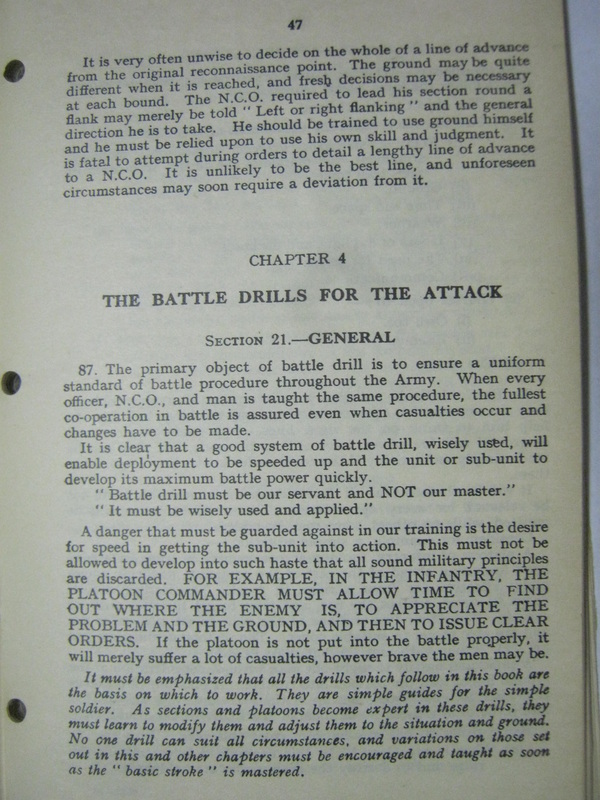 Know your job within the battle drills. 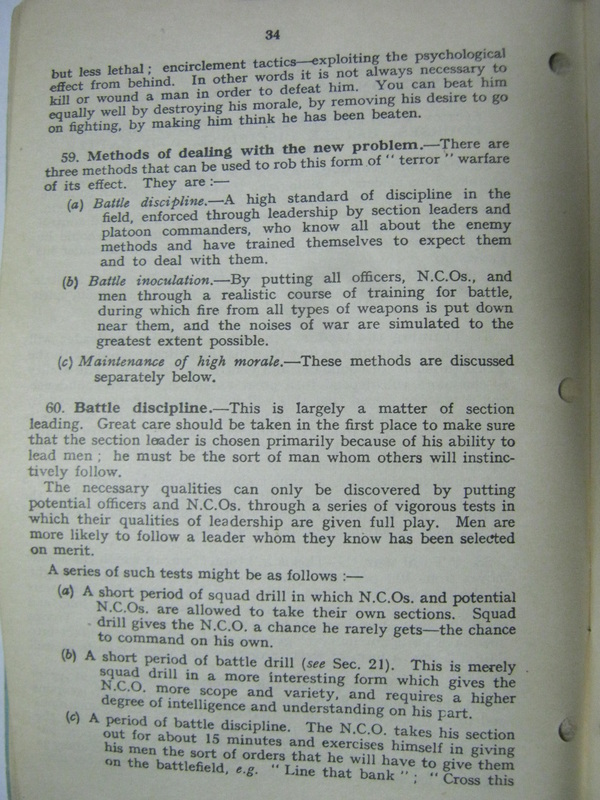 Know the jobs of the others within the battle drills, and know the job one level up, so you can take over if your leader becomes a battle loss.